WINCHESTER, Mass. -- A Winchester, Massachusetts woman has been found dead in her home and police are looking for her son. Police conducting a well-being check found Barbara McAveeney dead in her condominium on Tuesday morning. The Middlesex district attorney's office says an arrest warrant has been issued for her son, 46-year-old Matthew McAveeney. The warrant is for charges including armed assault with intent to murder, assault and battery by means of a dangerous weapon on a person 60 years of age or older, and cruelty to animals. Police said because of a smell coming from her second-floor unit, they said they think she was killed days ago. Winchester Police told the Boston Globe McAveeney attacked his mother, but wouldn't say how she was killed or why he allegedly attacked her. 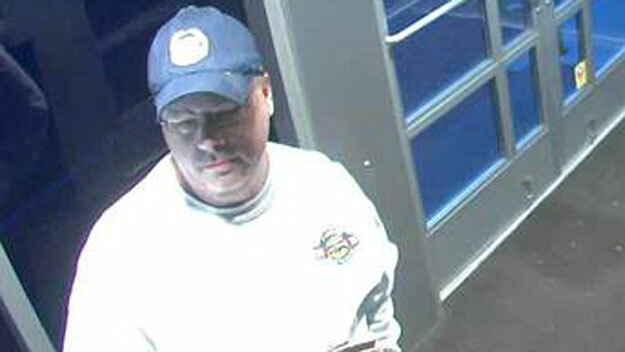 Middlesex District Attorney Marian Ryan released two photographs of McAveeney from a bank's ATM security camera, reports CBS Boston. Residents told the station the woman lived in the building about 37 years, but she was usually only seen when riding her motorized scooter to get the mail. McAveeney has a shaved head, stands 5 feet 7 inches tall, and weighs about 250 pounds, according to the Globe. Anyone with information as toy= his whereabouts is asked to contact the Winchester Police at 781-729-1212 or the Massachusetts State Police at 508-820-2121.